On this topic we'll try to keep an updated list of the most frequently asked questions. Please check if your question is already answered in here! Q: I can't find any topics on my native language, how can I fix this? Q: I want to change my manager name, how can I do it? A: I'm afraid it's not possible to change your manager name. Q: I've won 10 cups already and I still don't have cup master achievement? A: Achievements were introduced on 14th October 2014. Some achievements only start counting after that date. Cup achievements are one of them, so only cups won after that date are taken into account! Q: My match was simulated before the time shown and I wasn't able to do my lineup and lost the match? A: Remaining time shown for next match it's an estimated time based on last simulation. We can't guarantee that matches are simulated at exact time. Matches can be simulated earlier or later, due to several factors (number of leagues removed/created on past 24h, number of users online...). The only thing we can guarantee (except in situations where there are major problems with servers) is that they are never simulated before 18:00h (GMT). We've split servers in groups with different simulation start time, just keep an eye on the start of the server where your league is and try to have your line up ready before that time. 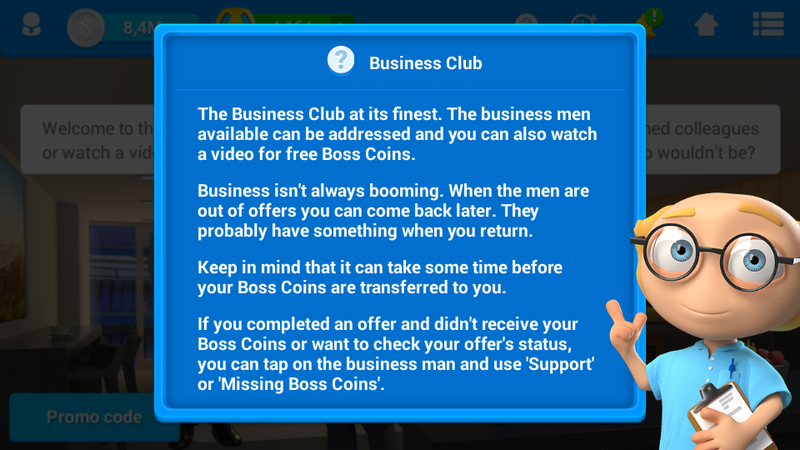 Q: I've payed, but did not received my boss coins? A: Sometimes there could be a little bit of delay in receiving them, so the first step is to give it some time. If you still didn't get them after waiting, then please contact the payment provider. Q: How do I set email through app? Q: My manager name & password are correct, but I'm unable to login? A: Your trying to login to world version with dutch account or the otherway around. If you set your language right then you should be able to login to the right version. Q: I did not receive the boss coins from the special offers, what to do? A: Offers from Business Club are responsibility of our partners. You can check the status of your offers on every offer wall by clicking on the Support/Missing coins link that you can find on the bottom of that page. You can also contact them via same process if you think that it's taking way too much time (some may take more than a week to be completed). Q: How do I enable my notifications? A: Notifications on iOS App are enabled upon App installation. If you miss to do it on installation it will be only possible to enable/disable them after initiate first action with timer (like training). When you start it, you will be queried if you want to enable notifications. After this you will be able to enable/disable them on App settings, via iPhone/iPad settings. A: It's only possible to remove your account through website. Please keep in mind that removing your account is a final action and you can not get it back if you regret the decision. So think it through before you hit the confirmation button. Q: What happens if the season is over? A: OSM is a one season game, which means that everything will be reset after the season (players/bank balance/stadium upgrades etc). Q: Why the scout doesn't come back with the skill level I requested? A: There are very little players with still level 90+, since the scout always brings back three players it will return with the next best thing when there are no 90+ players available. The only thing you could try is to wider you're search range and see if it comes back with the skill level requsted then. Q: Why I didn't receive bc's after inviting managers? 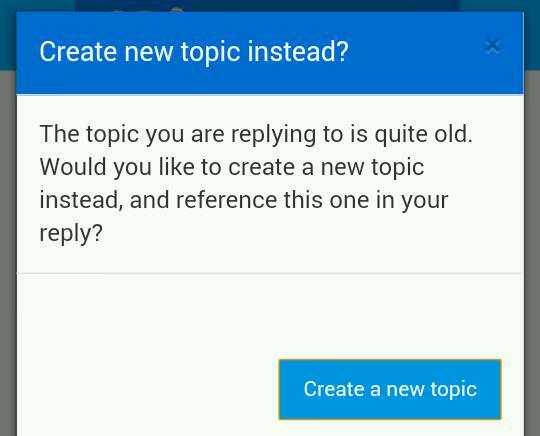 A : There is a "hidden" button close to that blue button that says Create a new topic. It may look invisible on your screens but trust me it is there. Please now use your mouse ( while working on a pc - website ) or your finger tip ( while using your mobile phone - app ) to tap around the blank area that surrounds the blue button. Usually you need to click right on top of this button. Magically you will see the Reply box opened for you to make your post and bring an old topic back to life! Q: I don't know my league number, How do i find it? Go to your league table/standings from the control center page or by using the step below. Wait for the league standings page to load and after that click on your squad. And after your squad page loads up you'll see your league number at the address bar of your browser. Q: How do I know my server?